Ten Great Ideas to Shop and Eat Healthy! March is National Nutrition Month and you know we could not pass up on sending some ideas to eat, shop and live healthier! Put a veggie in it. Sauces, Spiralize! Search Recipes on Pinterest—search by ingredients you already have! Use grocery list—shop the perimeter of the store for fresh items, avoid processed foods. Don’t food shop when hungry! Involve family and friends when making meals—studies show kids more likely to eat veggies when they prepare. Keep healthy snack in you bag, car, etc. Check out this article from the Washington Post on curbing cravings for you and your family! Katie K Active Clearance Event ends April 2nd! Help us clean out our warehouse and make room for the Spring 17 season! We’re offering 70% OFF everything excluding the Propel Collection. Load up on these customer favorites! And…we’re also giving you 20% OFF the Propel Collection! Use code “Save70Now” at checkout to receive 70% OFF. Limited sizes and styles left, everything is going quickly! Use code “Preorder20” to receive 20% OFF the Propel Collection! Sale ends Sunday April 2nd! Did you catch our video? 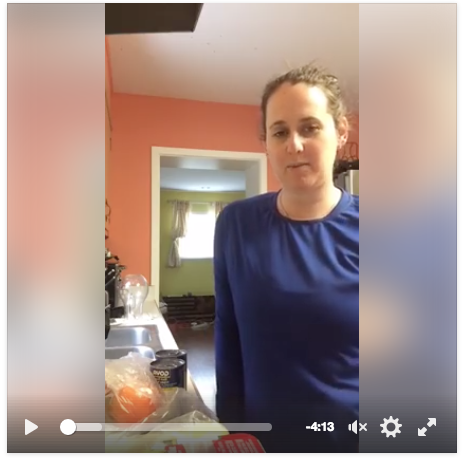 Hear what I have to say about being when someone told me it was too expensive to eat healthy. I also give you a snapshot into how I plan and prep my meals for the week ahead. Remember, if you fail to plan, you plan to fail! Be sure to join our Women Who Define Brave Group. Be the first to know when what’s going on with Katie K Active! Be surrounded by like minded women while we all support, motivate and inspire each other to live healthy, active lives! Save 20% off the Propel Collection when you Pre-Order before April 1st! The Propel Collection is the newest part of the Katie K Active Collection. Bright orange and pink color blocks mix with navy and platinum tones creating a visually stunning look! Save 20% when you Pre-Order now until March 31st using the code PREORDER20 in the cart. To validate this offer, select the items to go in your “Cart” The “Cart” icon is on the upper right hand side of the screen. If you hover over the “Cart” icon, select “View Cart”. Once in the “Cart”, you can enter the code by scrolling down the right side. We have received feed back that the code sometimes will not be accepted at first, so please try a second time. If this does not work send your order through and we will refund the difference! Email us at info@katiekactive with any questions! Recharging during the First Week of Spring! Great day hiking with the Kaplans! It was so much fun hanging out and catching up! Always feels too short, can’t wait to get together again soon! Hiking in the Colorado mountains with Bonnie and her family was so refreshing and inspiring. Bonnie and I were school mates and it was great to see her and experience some different landscapes. What a great family they are, everyone joined in the fun! Happy Spring everyone!